We need to see your pet at least once a year for a wellness exam. Regular wellness exams allow us to evaluate your pet's overall health. These exams are designed to assist in the prevention of disease and to help prolong the life of your pet. At these visits we can discuss any changes you may have noted or any concerns you have regarding your pet's health. We may recommend bloodwork or other diagnostic tests to aid in the early detection of disease. The yearly wellness exam also establishes a VCPR (veterinary-client-patient-relationship) which is important as it allows us to dispense prescription medications, such as heartworm prevention and prescription foods, to you. We need to see puppies and kittens more often than their adult counterparts as most of the vaccinations they receive need to be boostered. All vaccine protocols are tailored, by you and the veterinarian, to suit your pet's environment, exposure and lifestyle. These visits also allow us to answer any questions you may have about training, spaying and neutering, behavior, nutrition or any other issue you wish to discuss! 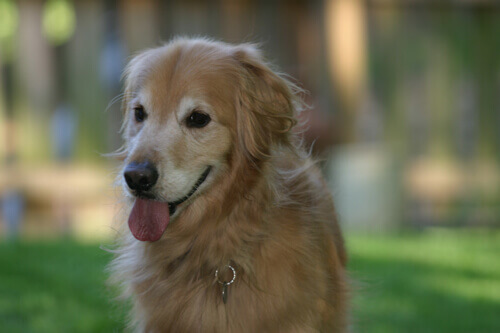 While no one can stop an age-related decline in health, we can help your pet thrive in his or her senior years. While age itself is not a disease, as your pet grows older his or her chances of becoming ill or developing disease increases. 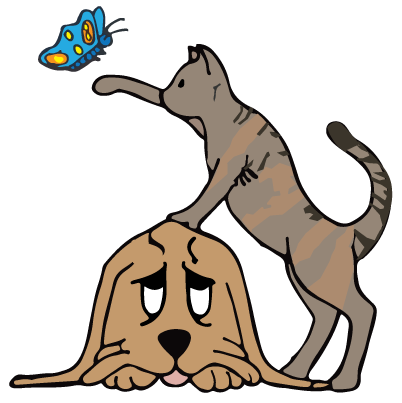 Geriatric age differs in cats and dogs and varies by size and breed. We recommend annual blood screening and senior exam every 6 months. Preventive care and screening can help to detect diseases at earlier, more treatable stages and may help your pet live a longer, healthier life! According to the AVMA by age two 80% of dogs and 70% of cats have some form of periodontal disease. While we recommend daily brushing we know how hard that can be so we also offer a line of oral rinses and chews to assist you in keeping your pet's mouth healthy. We also perform in-hospital dental care including ultrasonic scaling and polishing and, when needed, extractions and oral surgery. Did you know that 1 in 3 pets go missing? Microchips are your pet's best chance to be reunited with you if he or she becomes lost or stolen. The microchip is about the size of a grain of rice and is implanted beneath your pet's skin. If your pet is lost or stolen the microchip can be scanned by animal control officers, shelters and veterinarians. We are happy to offer Home Again microchips. 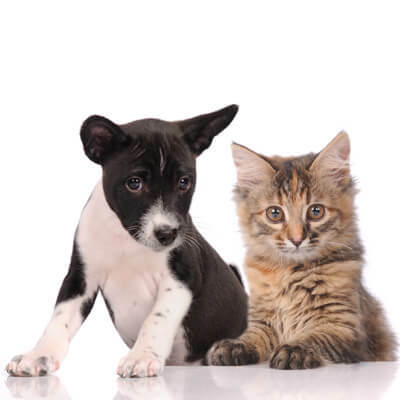 There is a one-time registration fee that registers your pet's microchip with Home Again for your pet's lifetime. Once the microchip is implanted and you've filled out the registration form at the office we take care of enrolling your pet with Home Again for you! Remember it is important to update your contact information with Home Again should you ever move or get a new phone number. We also encourage you, once you receive your kit, to go online to Home Again to upload a picture of your pet. We are here to consult with you about any concerns you may have about your pet (including, but not limited to, behavior, allergy, diet, anxiety and noise aversion issues). If your pet's condition requires input from a board-certified veterinary specialist we are happy to to either consult with one by phone on your behalf or, if needed, recommend a visit at a referral hospital. If you are seen by a specialist we are kept informed of your pet's treatment so that we can continue to assist you and your pet. For your convenience we have a large, in-stock inventory of pharmaceuticals, nutraceuticals, heartworm preventatives, flea/tick preventatives and more than one line of prescription food. Offering an in-house pharmacy means you know your pet is receiving the correct medication. Purchasing your medication at the hospital also allows us to give you detailed instructions on how to administer the medication, answer any questions you may have about the dosage or side effects and it also helps keep the cost of our services down (for instance, did you know we haven't raised our exam fees in over 10 years?!). You can trust that all our medications come from safe, reliable sources and are stored properly. Call us at 603-329-6553 for all your pet's health care needs!